Intentional Energy Processes (IEP) are a new set of tapping tools created by Steve Wells of www.eftdownunder.com. These processes are designed to help us easily let go of unwanted emotional baggage and to align with our deeper intentions. 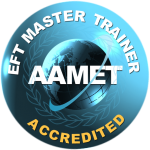 In standard EFT we work to dismantle limiting beliefs or unpleasant emotional reactions. In IEP the focus is not on the belief, or emotion, itself but on our tendency to become emotionally attached to what we think and feel. The IEP processes help us let go of those attachments quickly and easily so that we can move forward in the direction we want to go. Not only can we let go of those blocks we can use our intentions as a clever way of uncovering our blocks so they can be released. IEP is a new and powerful way of moving forward in the world through a simple tapping process. 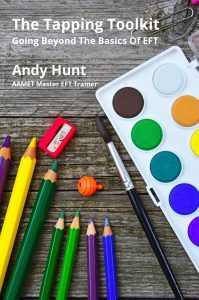 In the June EFT Café (the last before the summer break) Andy Hunt will demonstrate these processes and show you how you can use them to move forward in your life. This EFT Café is on Wednesday June 10th from 7pm to 9pm at St Oswald’s Hospice Teaching Centre, Gosforth, Newcastle.